The past 16 months have been a politically turbulent time and the knock-ons have already been felt by jewellers across the nation before the implications of what Brexit really means for business have been spelt out. 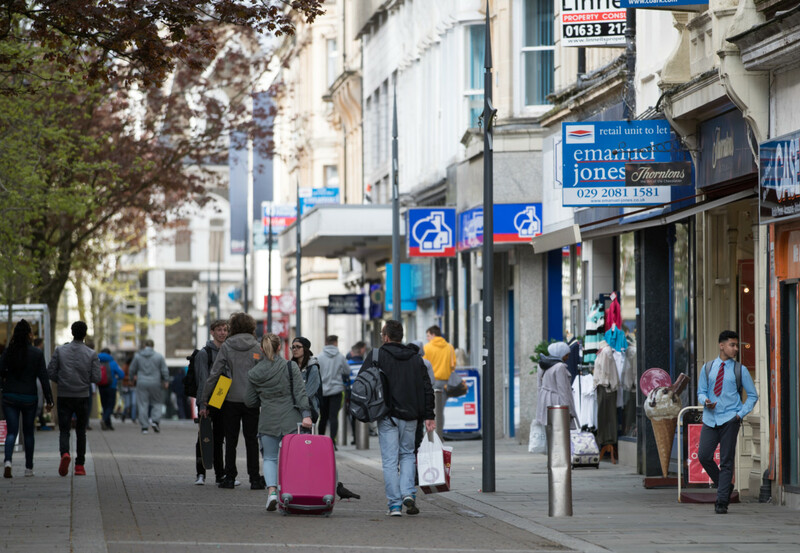 What we do know so far is that shock resignations, talks of controversial agreements, and rumours of yet another general election or referendum, have led to consumer confidence taking a hit, and consequently shoppers have been forgoing ‘non-essential’ purchases, such as jewellery. “I think the economy and general economic uncertainty will still affect trade,” shares Fabulous Jewellers owner, Jo Stroud. “Interest rate rises, concern over job losses because of Brexit, and a general feeling of uncertainty will mean people will still be wary about spending, making each purchase far more considered.” But it’s not just consumers that are changing their ways as a result of Brexit. Retailers are more hesitant to spend money on stock and according to Jeremy France director, Harriet France, jewellers have been forced to reconsider their approach to running businesses. She comments: “Hesitation with Brexit is still around and will be for the second half of this year. Professionals are showing nervousness and bonuses may not be as forthcoming as previous years. 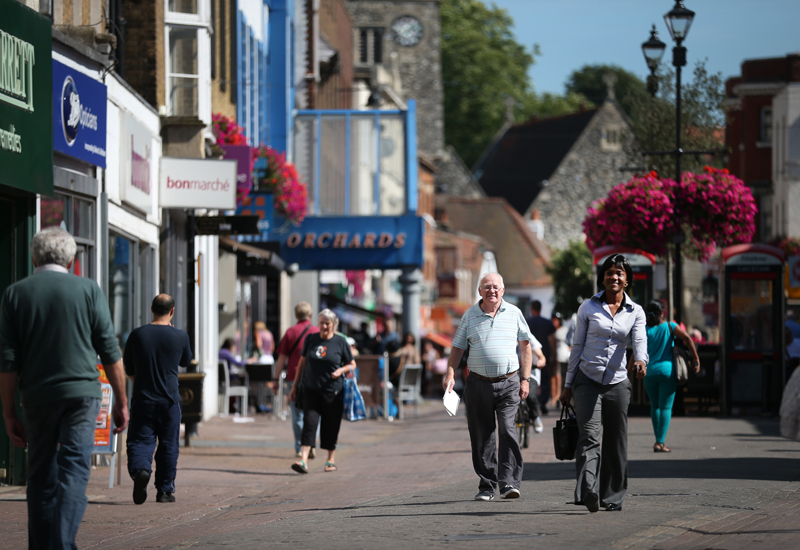 ” While the industry will have to continue to battle with the effects of Brexit with no clear understanding of its full impact for the long-term future, it’s important to note shifts in consumer shopping habits and consider how the industry can still capture a slice of the retail market, even during difficult times. There is no denying Brexit has not been good for many jewellery businesses but we must look at positive trends as well. Retail giants are making room for independents to sparkle. The last couple of years have flipped the high street on its head and, as a result, one of the most reliable seasons for sales is now something of a question mark. While shoppers are still buying presents to place under the tree, some have noticed that December doesn’t benefit from the Christmas rush in the same way that it used to. Due to a variety of factors, Christmas just isn’t what it used to be. Jo Stroud from Fabulous Jeweller shares: “There is no real uplift in November any more, so we don’t budget for any increases in revenue before December itself; and there is still always that rush in the final few days.” She continues: “They key is to be realistic in your business about the additional revenue Christmas will bring as it is not such a boost to revenue for any retailer as it used to be; and do more throughout the year to drive year-round sales, through events and promotions — so you are less reliant on a big number in December.” With consumers heading into stores later, this has had a knock on effect for suppliers as retailers have been in less of a hurry to stock up for the season, but suppliers do not see this as a concern. While shoppers may be cutting it fine this Christmas, it’s important for retailers to use shop floor staff time wisely, with experts recommending quiet store times during November and December should be used to train employees on how to upsell and increase the average transaction value. Jewellers should also make sure their websites stand out as many customers are coming into store later because they do the bulk of their Christmas shopping online first. Christmas shopping starts later on the high street. With so many things to think about, whether that’s Christmas, staffing, events or building a digital presence, some jewellers have been forgetting the bread and butter principals of retail, with many members of the trade sharing horror stories of what they have experienced inside jewellery stores. From messy displays, to staff leaning over counters and not making eye contact with consumers, a quick mystery shop to a selection of jewellers would reveal simple standards are not always being kept. However, with Christmas coming later, and footfall in general being sparse, quieter days present the perfect opportunity for jewellery retailers to make sure all the basics are in check. This is not a criticism, but an observation that’s been shared by many. Even big brands and retailers are highlighting the need to go back to basics and make sure their house is in order. Once the basics are in place, businesses will find it easier to capatalise on every potential sale that walks through the door. “The high street will never go back to what it once was,” admits Stroud. “We are in a completely different world now, so the pattern of buying, the volume of sales, and the quantities of individual items has changed beyond recognition. 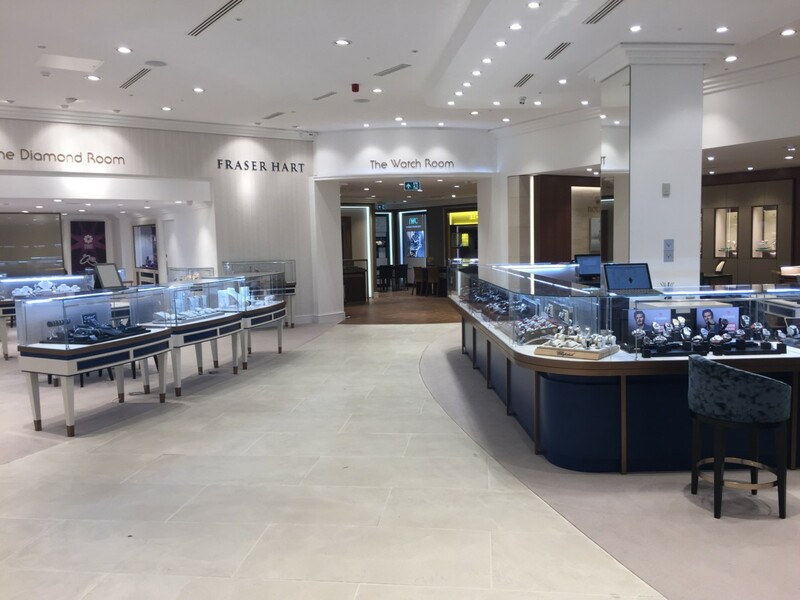 But that’s OK, as long as you are prepared for it, and you plan for it.” At Fraser Hart the team are making sure customers looking inside store windows are being acknowledged, while at Thomas Sabo the new MD wants the brand to be a market leader in even the smallest areas of the business. Another notable change is in how consumers are treating themselves. Recent reports have revealed that when it comes to non-essential purchases, shoppers around the UK would rather spend their money on experiences than things, something which the industry has been discussing heavily. “Consumer spending is changing and jewellery is competing not only with other products, but more and more with experiences and activities,” shares Unique & Co founder, Daniel Ozel, adding: “Consumer and, in particular, younger customers, prefer to spend money not only on products, but on holidays, experiences and activities.” In an exclusive interview with Professional Jeweller’s sister publication, WatchPro, the managing director of family-run jewellery retailer, Pragnell, said he believes experiences and holidays are actually the greatest competitors for the jewellery industry. Charlie Pragnell explains: “I think our greatest competitor for the watch and jewellery business is experiences and holidays because people are marking the moments in their lives with memories. Our job is to make sure that watches and jewellery are a better option because they don’t change while the memories of holidays can fade and change over time.” If people are favouring experiences over products, it’s more important than ever for jewellers to make shopping in their stores memorable. 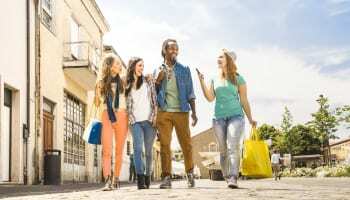 From making consumers feel at home, to doing something to make them feel special, experts suggest retailers need to go above and beyond to connect with consumers emotionally, and in turn, win over their business. Like it or lump it, Black Friday is a big event for the retail industry, and one the UK has struggled to shake off even though many have campaigned for it to end. For many retailers, the mass sales event can be blamed for the late Christmas rush. Owner of the eponymous store, Harriet Kelsall, shares: “Black Friday destroyed Christmas retail when it was established about three years ago and as a result that extra Christmas custom has reduced slightly.” Research reveals that last year’s Black Friday weekend was the most successful in history for online retailers based in the UK, and recent findings suggest it will continue to grow this year. Most importantly, studies from last year show that Black Friday impacted online sales, more than footfall on the British high street, so as consumers Google what deals are on offer for November 23 it’s worth jewellers exploring how they can appear in such search terms, even if they don’t want to bow down to the day’s heavy discounting demands. How can your business capitalise on Black Friday? Embracing technology with full gusto no longer gives you brownie points. At this stage, every jeweller should be grabbing tech solutions by the horns and making the most of what it has to offer. At the very least, jewellery retailers should have an online presence by now. In the Pink’s Webb-Meek explains: “Savvy jewellery retailers who have or are starting to embrace social media and internet sales will see growth, those that don’t will get left behind, so it’s certainly time for jewellery retailers to rationalise what they sell, and really embrace Instagram, Facebook, and Twitter, if jewellery stores don’t have a website they need to get one and figure it out fast.” It has long be said that a time will come when the gap between jewellers evolving and those standing still will become so large, and the latter will be left behind. Now experts are saying this time is coming very soon and jewellery companies embracing digital innovations, making online shopping easy, and using technology to make all areas of the business faster and more efficient, are the ones that will come out of these turbulent times stronger than ever. It’s not just about having a website, or being on social media, there’s technology available to put your company ahead of the curve, improve the customer experience, and even make life easier for business owners. Ryan Edkins will be launching a book at International Jewellery London called the Digital Jeweller which goes through these very touch points. If you’re worried you are going to be left behind, be sure to pick up a copy. 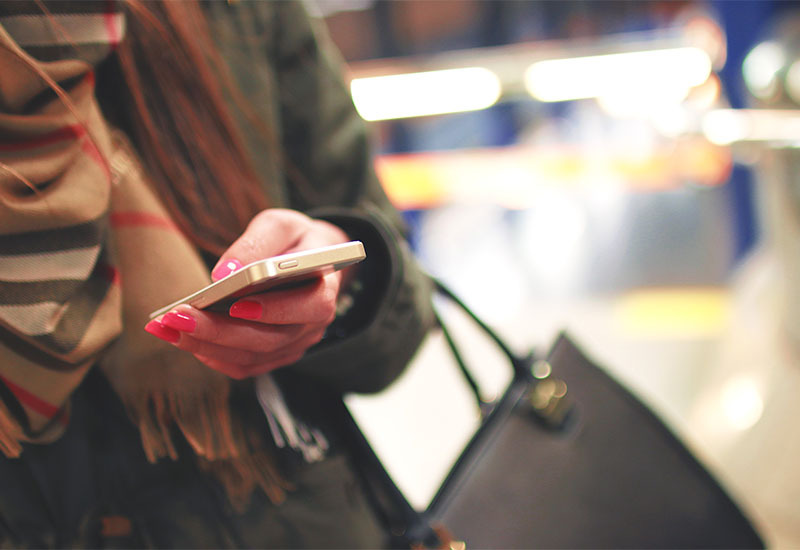 Elsewhere, companies like Bransom are making it possible for shoppers to pay without leaving the comfort of their seats in-store, while lighting specialist Parify has wifi solutions, and fine jewellery suppliers are offering retailers extraordinary apps that can be used to show consumers more options at a click of a button, and allow bespoke options to come alive before their eyes.